Written by: Ricardo on September 1, 2013. There’s a danger in adapting a true story for the screen. For an audience that’s been weened on the traditional, three-act Hollywood film, it would be a frustrating, fruitless experience to watch a literal adaptation of someone’s life. Real lives don’t have neat dramatic arcs. Real people tend not to learn their lessons. Somewhere along the line, liberties must be taken. Events are shuffled and condensed. Characters are cut and composited. All in an effort to give structure to what seems like chaos. So, how much of that story stays true? It’s an intriguing question. Fortunately, The Iceman is so engrossing, you won’t have time to think of it. 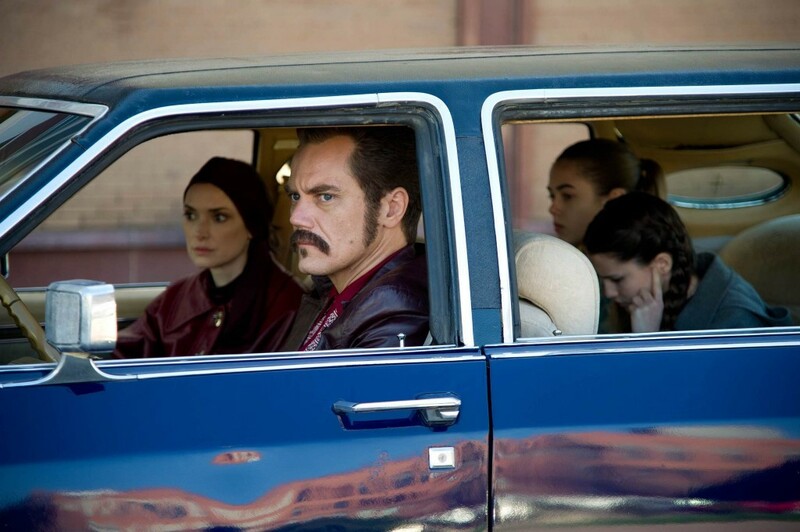 Part family man, part killer… Richard Kuklinski (Michael Shannon) is living two very different lives. As the titular character, Shannon compels from the first frame, giving Kuklinski a rugged, plainspoken charm. That charm is cut with a palpable menace when Richard is on the job. To balance both sides is the ultimate high-wire act for a performer, and Shannon handles it with aplomb. In a role that could so easily veer into histrionics, the actor gives Richard some real psychological depth. Kuklinski’s penchant for violence is treated like an addiction or compulsion; something that keeps his roiling anger at bay. His profession is precisely what allows Richard to be a dutiful father and husband. There are similarities in his treatment of General Zod in this summer’s mega-blockbuster Man of Steel , but where that performance opted for a “more is more” approach, Shannon’s Kuklinski is a lesson in restraint, holding back his trademark freak-outs until the moment of greatest impact. There are a number of reasons why Shannon’s star has risen so dramatically in such a short amount of time, and The Iceman is full of them. Winona Ryder stars as Richard’s wife, Deborah. In the last decade or so, Ryder seems to fall off the radar only to come back and remind you of how good she is. She continues the trend here. The implausibility of the premise would sink a lesser actress, reducing Deborah to the cliché of a clueless housewife. Ms. Ryder, however, manages to give Deborah a Catholic schoolgirl sweetness with a hint of Jersey attitude. In short, her performance brings out Richard’s humanity. She makes Shannon’s transition from hitman to family man more credible and keeps the narrative from falling apart. 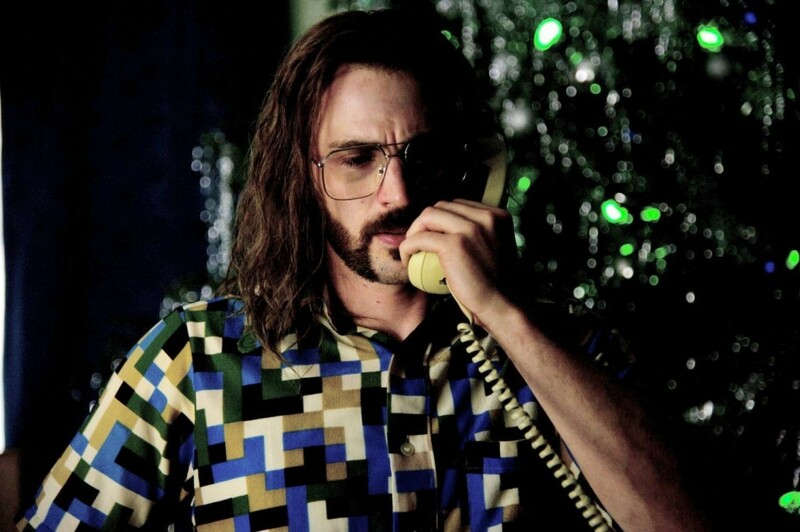 Mr. Freezy (Chris Evans) partners up with Kuklinski and even serves somewhat as a mentor to him. A nearly unrecognizable Chris Evans plays the lone-wolf assassin, Robert Pronge. With his superhero good looks obscured beneath a tangle of hair and a handle-bar mustache, Evans makes the most of the opportunity. If Kuklisnki’s reputation earned him the figurative nickname, the Iceman, then Pronge is most definitely, and literally, the Ice-Cream Man. After dispatching his victims, Pronge dismembers the bodies and stores them among the frozen treats of an ice-cream truck. Evans is able to play up Pronge’s gleeful insanity while demonstrating the emotional toll his occupation takes. His work here leavens Shannon’s intensity and compliments it in the best of ways. Ariel Vromen provides solid, if unspectacular, direction. When a film has such strong performances and gorgeous production design, perhaps those directorial flourishes are a luxury. But when your film checks the same stylistic boxes as Scorsese’s GoodFellas , there’s a subliminal comparison to be made. In that regard, The Iceman leaves a bit to be desired. Though it suits the period, the hazy cinematography leaves parts of the image unfocused. Unsurprisingly, most of the action happens in the foreground and Vromen loses a chance to build suspense by taking advantage of movement in the frame. That said, this isn’t anything that can’t be remedied by some quick cutting and a pulsing score. 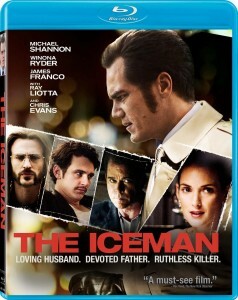 On it’s own, without the specter of Scorsese hanging over it, The Iceman is a competent, and certainly compelling, film. The transfer to Blu-ray is acceptable, but the warm color palette brings out the grain in the image, and is particularly noticeable in the film’s darker interiors. For those who prefer their picture on the crisp side, it may take some getting used to. Audio comes in both English 5.1 True HD and 2.0 Stereo with subtitles in English and Spanish. 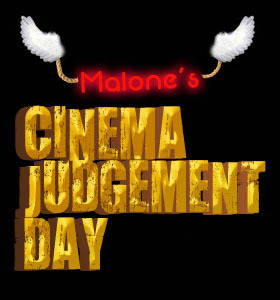 Special Features include a slapdash Making of featurette and a more professional, if brief, Behind the Scenes. Kuklinksi (Shannon) and DeMao (Ray Liotta) have a little business meeting. 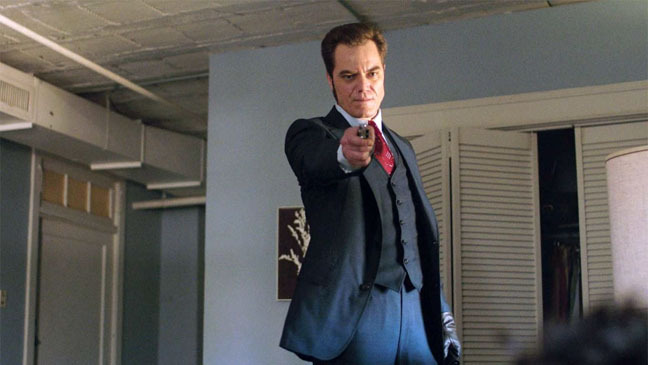 The Iceman really only stumbles when it tries to give Kuklinski the “proper” motivation for his homicidal ways. What’s disturbing about the film isn’t the actual killing; it’s how Richard compartmentalizes his personal and professional lives. The less we know of the character, the more terrifying he is. By trying to explain Richard’s violent tendencies with a clumsy bit of backstory, the film does a disservice to Shannon’s performance. And it’s that performance, along with the painstaking production design, that makes The Iceman cold, calculated entertainment.